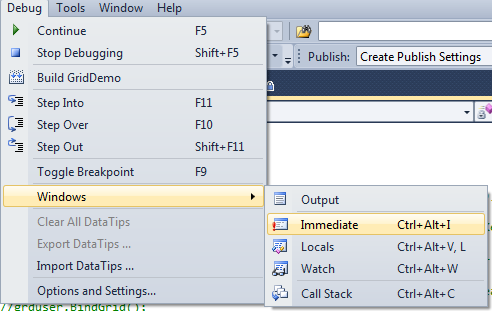 In this post I am going to show you the two important window of the Visual Studio which is useful when you debugging the project and to get the result on the fly during debug. Most of the developer get confuse when they are debugging application "From which function call came from up to my debug point", this happens when they are working the code design by some one else or debugging code of the dll. Following is one common scenario which I notice number of time developer does. In the three tier application developers always put the break point in presentation layer when the break point get hit they always check the data and the do wonder that which business layer method called >> database layer method get called by presentation layer to get this data. 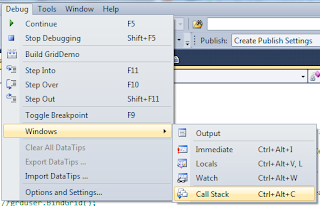 As you can see the image with the help of the Call Stack Window you will get information about the method get called, what is parameter value, line no of the method in file, is it external call or internal, programming language in which method written. It always happen that in middle of debugging you want to execute some set of statement or some set of function or want to check the value of the variable. 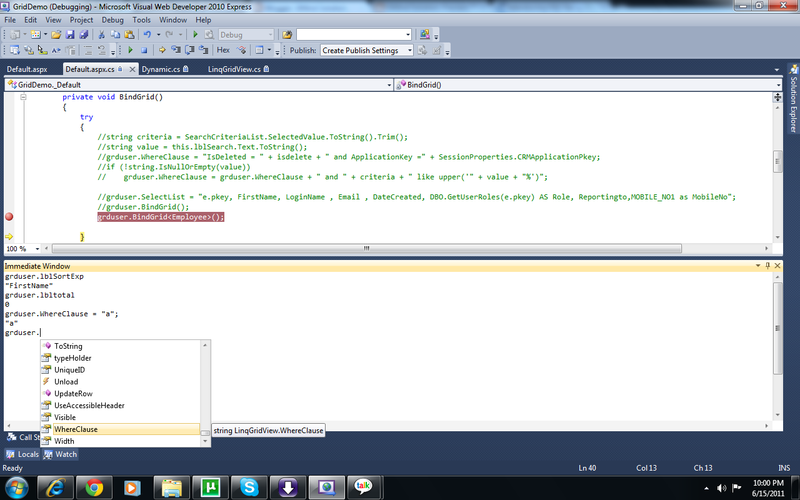 But as beginner you don't know how to do it at time of debug ? Immediate window has intelligence support as we have in the Coding window of the Visual Studio so that you can easily make use of the function, which makes you task easy. 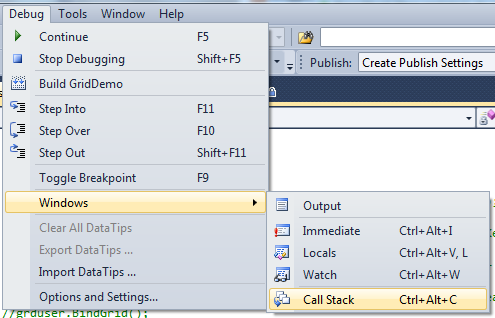 In my project, debugging makes the best part and the two methods of using the call stack and Immediate window are really helpful.Thank you !